Restore and preserve the youthfulness of your FACE, BODY & BUST! GERnétic Int. Laboratories in France, specialists and market leaders in the field of professional skin care for over 40 years have developed treatments and products that maximize your health and beauty from the inside out! GERnétic Int. health & beauty products offer a non-surgical, non-invasive method of achieving your aesthetic goals. Anti-Aging Face & Body Treatments, Bust Lift & Repair, Slimming & Treatment of Cellulite, Acne & Rosacea Treatments, Repair Treatments for Stretch Marks, Burns, Scars and more. The skin is a reflection of the body’s inner state. GERnétic Int. unique products and treatment methods work to redress internal deficiencies in order to improve or eliminate negative external symptoms. 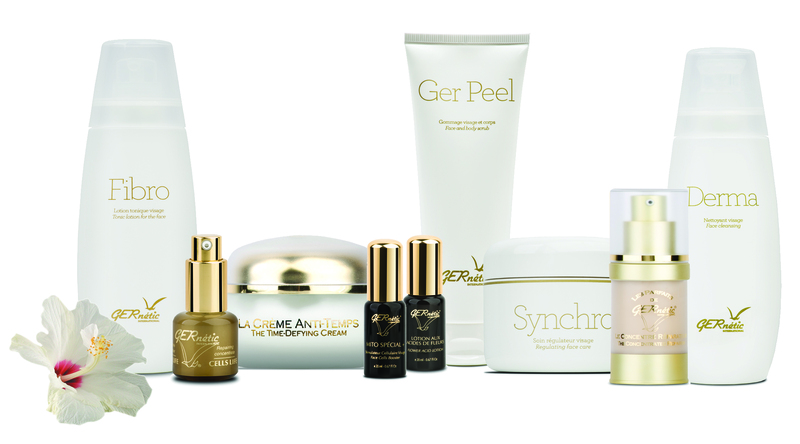 Each GERnétic product contains vital nutritional elements – vitamins, minerals and amino acids, in scientifically measured proportions designed to pass through the skin (cutaneous penetration), helping to improve general organic health, which in turn enhances the beauty and aesthetic of the face, body & bust. The GERnétic SECRET is SIMPLE: TREAT THE CAUSE NOT JUST THE SYMPTOM.